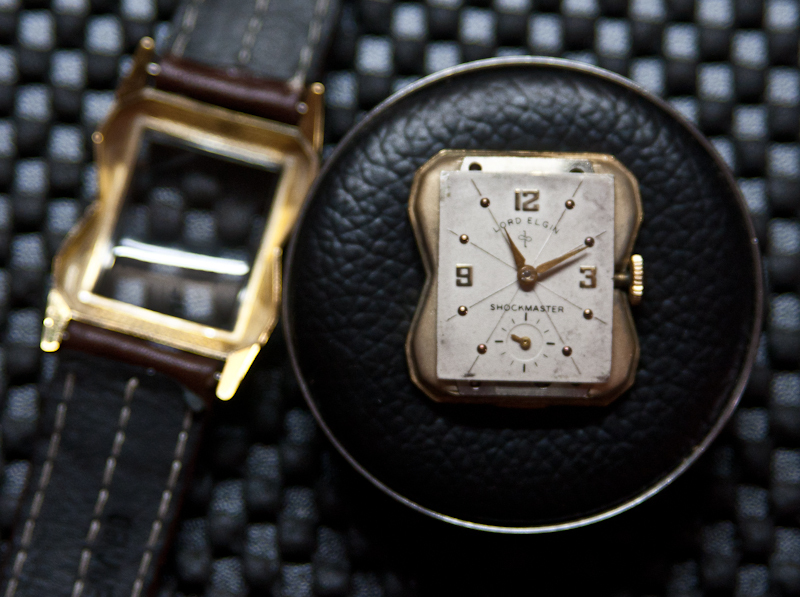 The model 4639 Lord Elgin has one of the bolder case designs of the early-1950s Elgins. 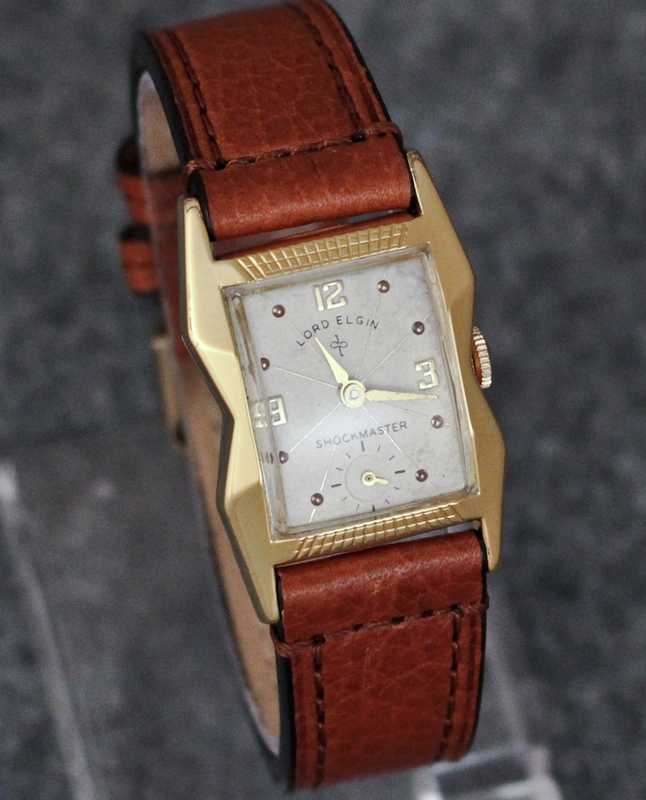 This example is in exceptional condition as it has recently been replated in 18K gold, giving it a like new finish. 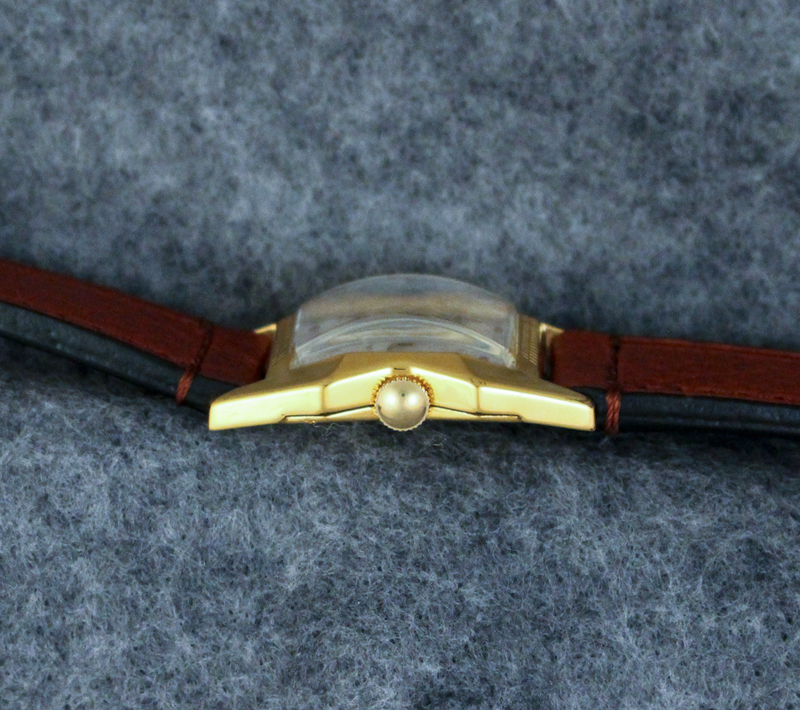 The bezel and back are both 14K yellow gold filled, replated in 18K gold. The case shows no brassing or wear through and is in Exceptional condition. 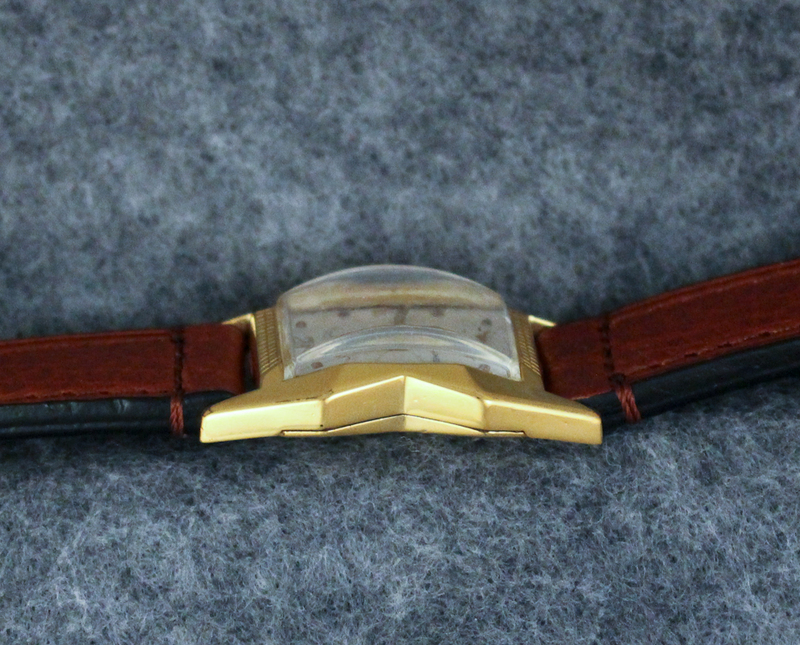 The dial is in Good to Very Good condition and with only minor marks. The gold daggar hands and gold applied numbers are in Excellent condition. The plastic crystal is a replacement and is unscratched. The watch runs well and keeps good time. 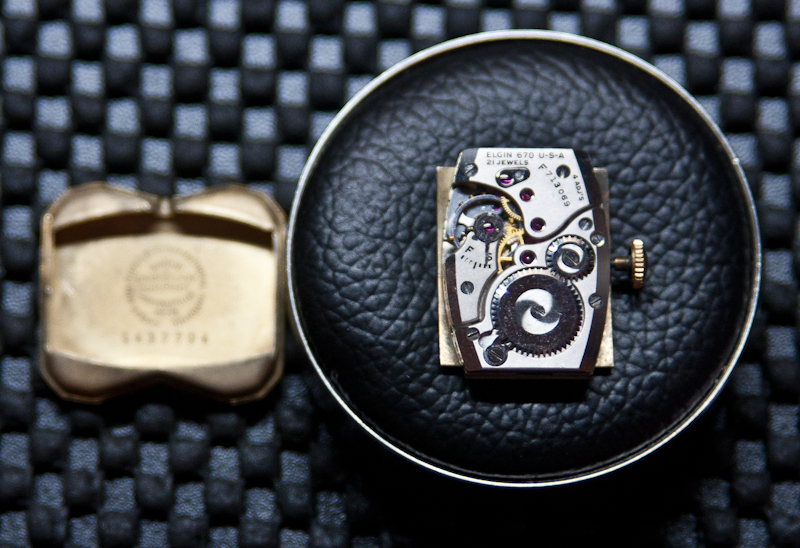 The watch is powered by Elgin’s 21 jewel 670 movement. The watch winds, sets and runs normally. 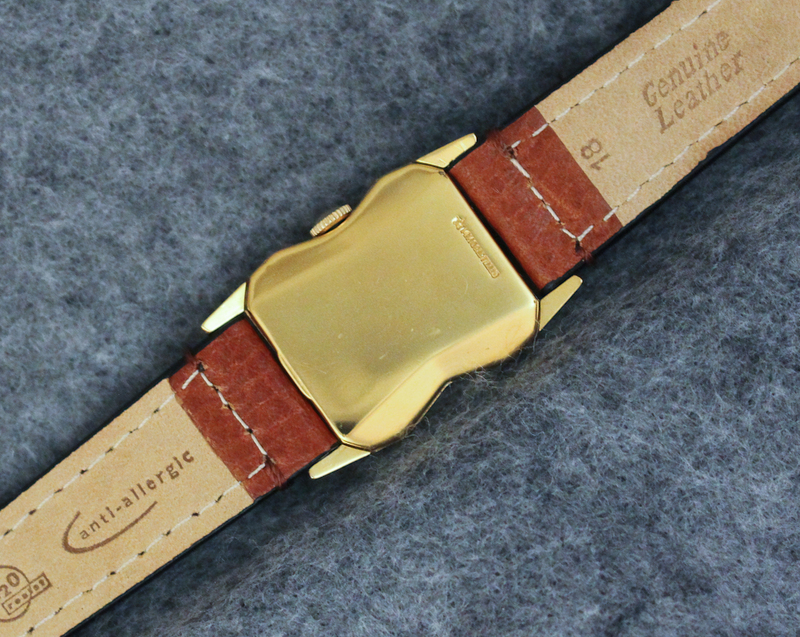 Included with this watch is a new old stock padded and stitched leather band. This is a medium-sized strap. The watch is ready to wear.